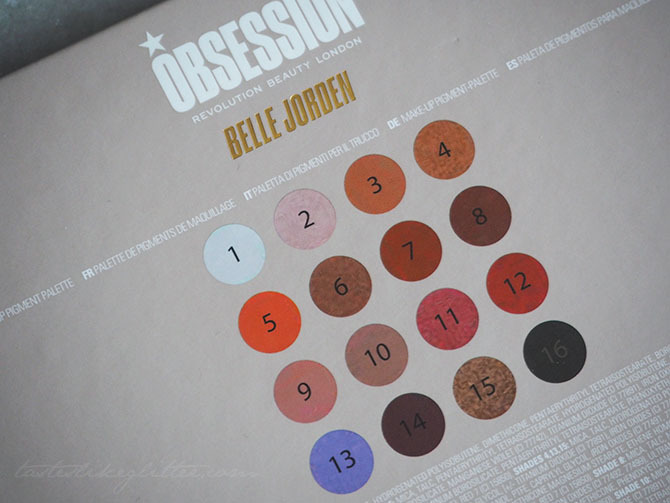 At the tail end of last year, Belle Jorden announced she'd teamed up with Obsession to create her own mini collection consisting of an eyeshadow palette and lip set. 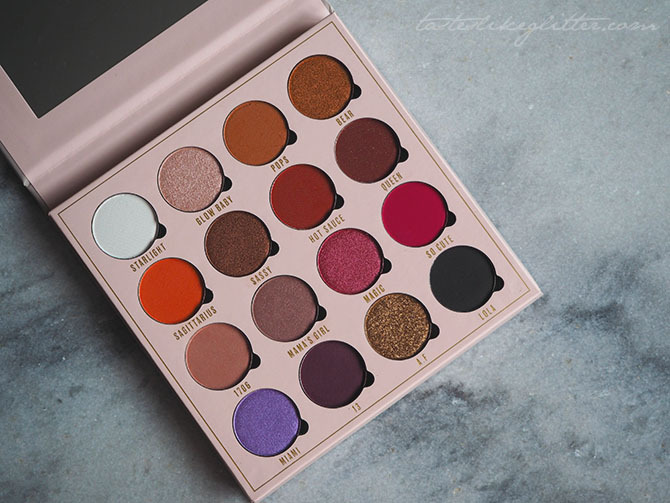 After seeing her use it in numerous tutorials and it performing well, along with the fact it was giving me Modern Renaissance vibes (which I've been wanting forever but never purchased) I knew I had to treat myself to it. Especially as it's only £10! I tracked it down in my local Boots, only to find the only ones left were filthy and battered so a few days later I headed to a different location and found one that was for the most part ok. 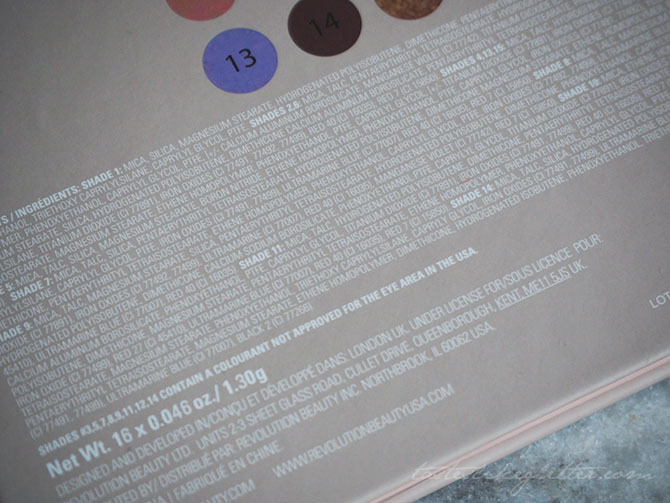 The palette itself is a light greyish pink with Belle's name emblazoned on the front in a pretty tattoo-esque font which was designed by tattoo artist Justin Burnout. 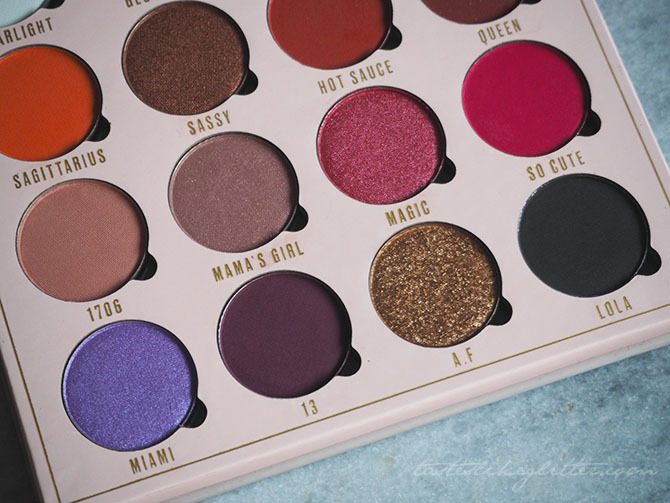 Belle took complete artistic control over how she wanted the palette, from the meaning behind all the shade names to the colours themselves. 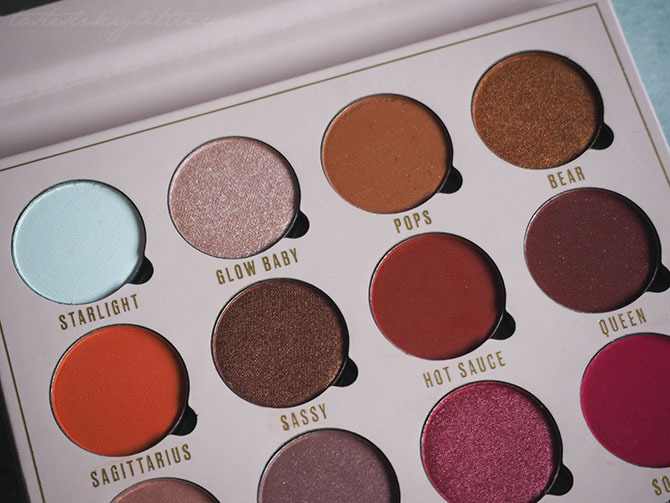 I wasn't sure what to expect when using this palette for the first time but the shadows are so smooth. 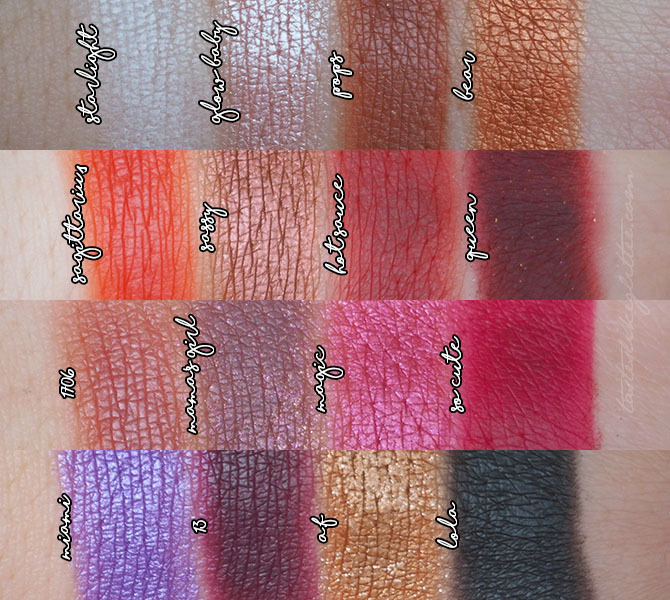 The matte shades can take a little work when layering to make sure they're even but that happens with most matte shadows, regardless of brand. 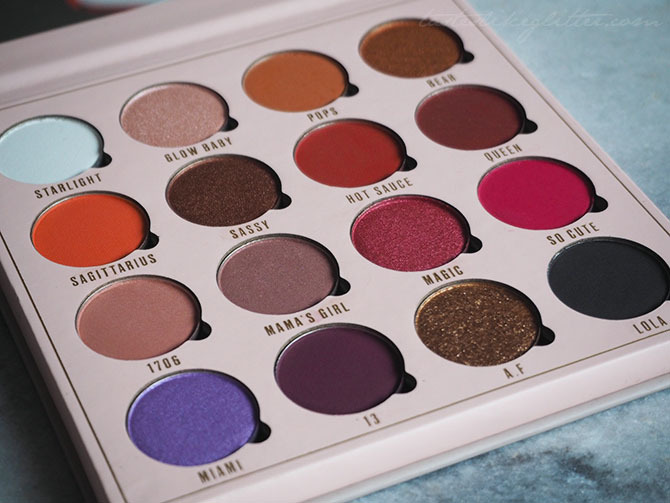 I adore the colour range, it's not usually colours I go for as I'm definitely a cooler toned gal but I'm trying to branch out and push myself out of my comfort zone. 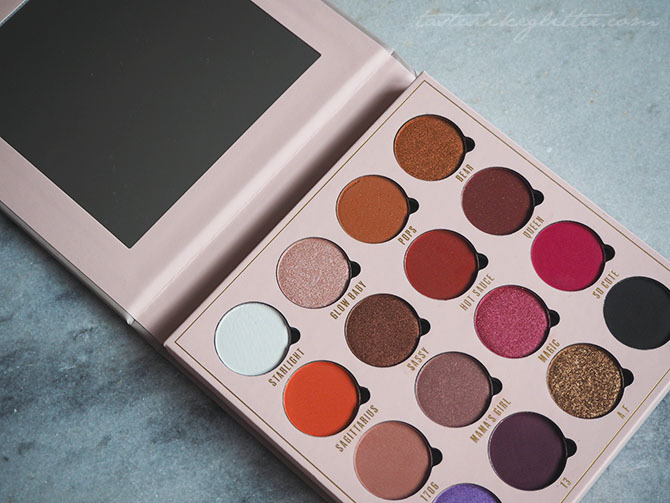 I'm really excited to dive into this palette and experiment with some different eye looks. Who knows I might end up even posting them! 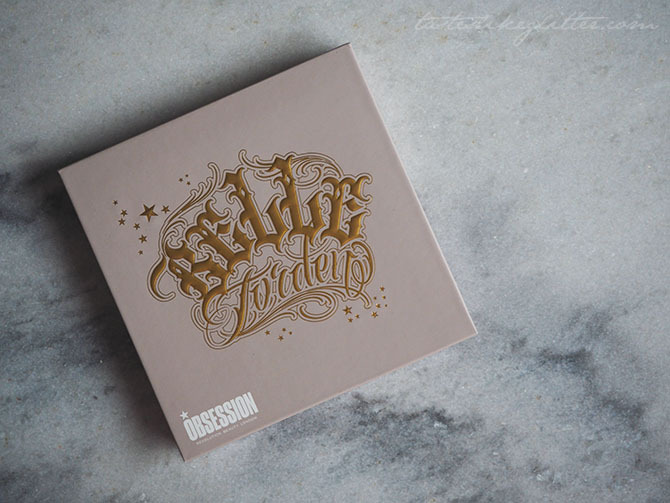 For just £10 for 16 shadows, I think it's really great quality and a perfectly sized little palette. It has a sizeable mirror so it's great for travelling as you can have plenty of colours for different looks along with a decent sized mirror in the lid, meaning you don't have to take a separate one.